A hilarious autobiography from one of Britain's funniest and most successful comedians. Born Chris Collins in 1957, Frank Skinner he grew up in the West Midlands where he inherited his father's passion for football - and alcohol. Expelled from school at 16, Frank had been nurturing a serious drink problem from the age of 14, but managed to go teetotal in 1987. Along with personal revelations, it helped turn his life around. His first television appearance in 1988 was met with raucous laughter from the audience - and 131 complaints, including one from cabinet minister Edwina Currie. He met fellow comedian David Baddiel in 1990, and the two went on to share a flat throughout the early 90s and to create the hit TV series Fantasy Football League. 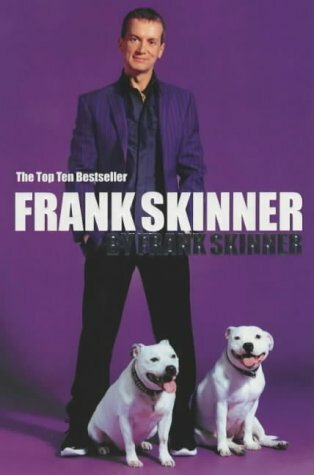 Winner of the prestigious Perrier Award at the Edinburgh Festival, Skinner's comedy is a groundbreaking mix of laddish and philosophical humour, one which has helped shape the British comedy scene ever since. From The Frank Skinner Show to co-writing the football's-coming-home classic Three Lions, his career has never been boring. Here, for the first time, Frank candidly tells us of the highs and lows of his fascinating life. Frank Skinner is well known for his quick wit and biting humour. Both appear in spades in his eponymous autobiography. It is hardly a traditional, chronological work. Instead Frank, (or to give him his childhood name, Chris Collins) takes an offbeat approach to the life story genre. It is an approach which, on the whole, works well. Here, the writer takes an intimately personal tack. Like the man in the pub with tales to tell, the story jumps from childhood to middle age, failed romances to huge successes, with little or no pause to explain or sign post. In the opening chapters this organisation can be confusing. From a lesser writer, it would have been a mistake. For Frank Skinner, whose ability to relate to an audience is everything, it is a clever device to draw the reader in. In fact, this on the hoof, deadline-looming, almost stand-up style of thinking on the feet (or indeed, the page) makes the reader a confidante. Frank chats and asks questions. Pages fly past amid a string of intriguing hook lines, such as "Johnny Cash made me an alcoholic"; "English literature changed my life"; "Zola Budd was my saviour and spiritual guide"; and "My first ever professional show was as Julian Clary¹s straight man (leave it)".